King Cove residents argue they need the road to access the all-weather airport in Cold Bay, but environmentalists believe it will do irreparable harm to critical wildlife habitat. “The whole community is excited because after 30 years we do believe this can now happen,” Hennigh said. King Cove residents say they need the road because bad weather can leave people stranded during medical emergencies. But the 12 mile gravel road would pass through what now is designated wilderness — the highest level of conservation given to federal lands. In 2013, Former Interior Secretary Sally Jewell rejected the idea of the road saying it would cause irreparable harm to the refuge and the wildlife that depend on it. But Hennigh isn’t worried about legal battles with environmental groups. The Interior Department didn’t respond to a request for comment. Once the deal is signed, Hennigh believes it will take up to six months to study the best route for the road and appraise the land. Then Hennigh says King Cove will be looking to the State of Alaska to fund construction of the road, estimated at $22 million. In a best case scenario, he says the road would be completed by 2020. 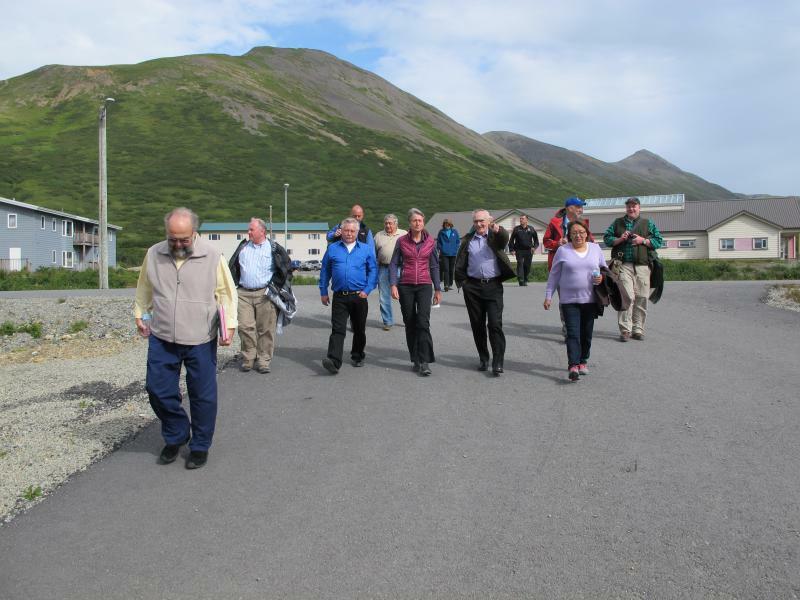 A small eastern Aleutian community is now getting nearly all of its electricity from renewable sources. With a second hydro facility that began producing power late this spring, the city of King Cove has dramatically reduced its dependence on diesel. Gary Hennigh has been focused on renewable energy ever since his first city council meeting as King Cove City Administrator in 1989. U.S. Senator Lisa Murkowski continues to push for reliable emergency medical transportation to King Cove. Murkowski says the only solution for the community of 900 is an 11 mile gravel road connecting King Cove to Cold Bay through the Izembek National Wildlife Refuge.